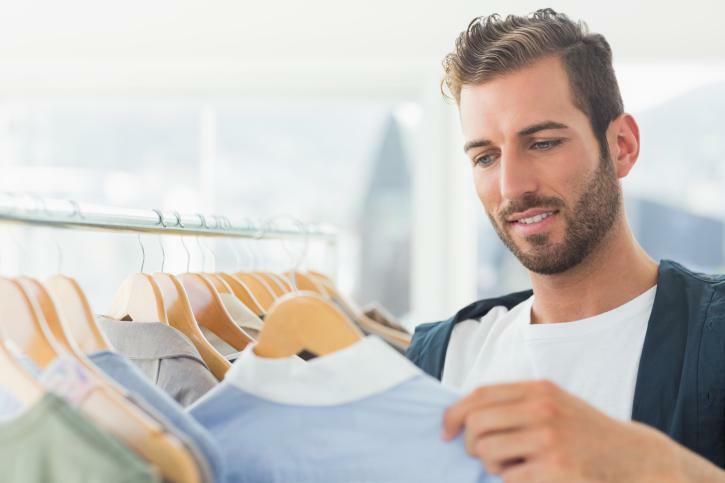 American men spend $10 more than women on clothing and accessories each month, according to a new survey from the Boutique @ Ogilvy, a fashion public-relations firm. The company’s poll of 1,232 men aged 18 and up found that they spent an average of $85 per month, compared to the average woman’s $75. Accordingly, the report estimates that the menswear market will expand at almost twice the rate of womenswear, growing 8.3 percent to become a $110.3 billion market. The $85-$75 split was first reported last year by Budget Sense, which also found that men spend 20 percent more time shopping than women do each week: three hours, compared to women’s two and a half. They also frequent more stores than women each week and are twice as likely to go online shopping. This discrepancy, which defies conventional wisdom that pegs women as clothes-obsessed shopaholics, isn’t a new development: In 2012, men were outspending women in online shopping by 20 to 30 percent. It’s not a U.S. trend, either. A 2015 survey of 1,094 British adults found that men spent an annual average of £660 on clothes, while women spent £612. At Details, Justin Fenner chalks the gender clothes-spending gap up to manufacturing costs: Men’s clothing costs more to produce than women’s clothing, he hypothesizes, and those costs are absorbed by customers. But studies have shown that products marketed to women are priced higher than nearly identical products marketed to men, a margin some retailers have blamed on higher manufacturing costs for women’s products. In recent years, fashion itself has become more accessible to men who wouldn’t necessarily call themselves fashionistos. Between the bevy of new men’s fashion startups and all the attention lavished on metrosexuals, lumbersexuals, and just plain sexuals, it’s not hard for men to find an entry point into caring about their clothes. A full 94 percent of the Boutique survey men said they have a “defined” sense of style. Whether or not they succeed in dressing the part, the power of positive thinking bodes well for their gender’s aesthetic future.